connect every employee, every location, Any Device. Say goodbye to stale intranets and information getting bottlenecked in IT. Leverage Vibe Engage to unify your brand and message with engaging media. Augment workforce communications with interactive social media tools. 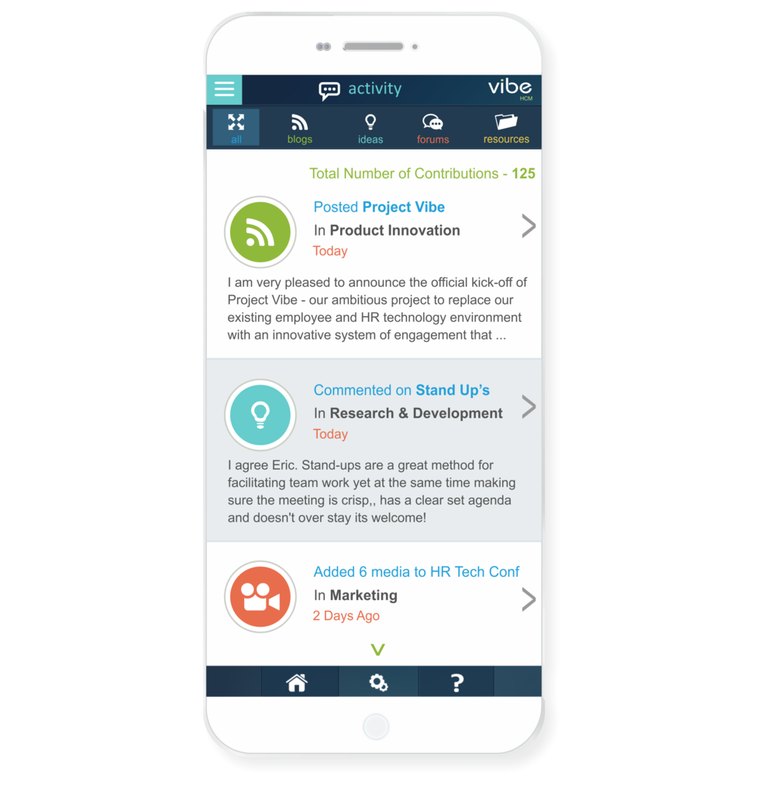 Not only can you transform HR communications, become the hub of the enterprise where ideas are exchanged, conversations held and successes celebrated. Org charts with personal profiles help employees find & identify experts, collaborate, make new connections and recognize peers. On-demand dashboards provide valuable insight into employee and manager interactions. Identify trends, top contributors, most influential, highest rated and most viewed communications across locales, departments and roles.